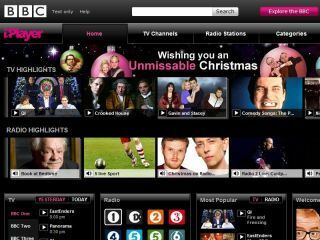 Tiscali has moved quickly to respond to BBC iPlayer chief Anthony Rose's recent comments on bandwidth, accusing the broadcaster of using 'smoke and mirrors'. The ISP has long contested that the BBC should be addressing the increased burden the successful iPlayer has put on its infrastructure, but she does not accept Rose's suggestion that Facebook and YouTube are heavier burdens. "The BBC argument is one of smoke and mirrors," Tiscali's director of PR and Communications Jody Haskayne told TechRadar. "Yes there are other streaming services, but they are lower quality and tend to be short (sub 5 minutes). "This means that a half hour iPlayer stream takes up at least thirty times the bandwidth of an average YouTube video. "Also I would like to point out that faster broadband doesn't necessarily solve the problem – iPlayer requires fatter not faster pipes as programmes only stream at 512kbps. "Whatever the BBC says, the increase in use of services like iPlayer does require more investment in capacity (bandwidth) by ISPs and it has to be paid for." Tiscali's stance has never wavered in this matter, and the company is leading the calls for the BBC to do something about the situation. And it appears that merely offering a tiered iPlayer that would allow ISPs to factor in the quality of the iPlayer in their sales pitches will not cut the mustard.